Warning! Sorry, property # 691 unavailable now! Welcome to this spectacular, private, and recently built Central Home Colonial beautifully located on one of S.E. Annadale's most coveted streets. Greet your guests in the grand foyer, and have the option to entertain either in the magnificent dining room or formal living room. Enjoy get-togethers in the two-story formal dining room. The open style designer kitchen will inspire your inner chef with a large center island, custom cabinets, high-end appliances and an entrance to a spacious family room that leads to a deck. The large deck off the main living area is great for BBQ's or relaxing. Sit on your front porch and unwind before a walk to local shops or Arbutus Lake. 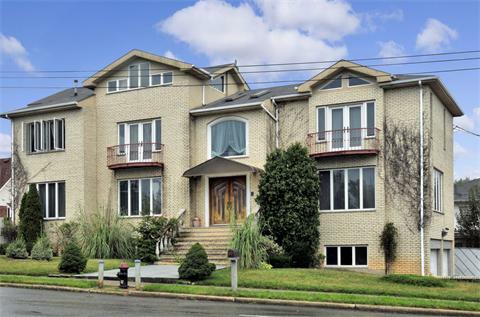 This beautifully-designed home?s second floor has an airy mezzanine overlooking the foyer and the dining room leading to three bedrooms with handsome hardwood floors. Relish in the master bedroom with en-suite bath, a walk in glass-enclosed shower, and a jacuzzi tub. Walk down to the lower level where you will find a large family room, media/playroom, as well as entry to a car garage. Ideally configured with a versatile floor plan, it caters equally to beginning or merging families. Furthermore, if needed the lower level can be either extra living space with its own bathroom and kitchenette or a separate self-contained guest or au-pair suite with its own entrance both from inside and the outside. Make this your home, and you'll be investing in one of the best growth markets left in New York - most importantly, you?ll be getting every luxury and comfort at an exceptional value. Shown by a private appointment only.